Mehmet Nemutlu was born in 1966. He started his musical education with Muammer Sun. 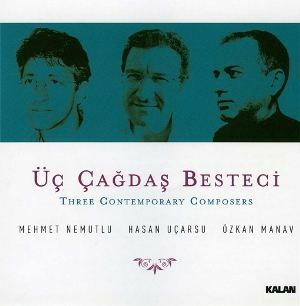 Nemutlu entered the Composition Department of Ankara State Conservatory and studied composition with Necil Kazım Akses and piano with Kamuran Gündemir. Nemutlu studied contemporary music with Ertuğrul Oğuz Fırat. In 1987, Nemutlu transferred to Mimar Sinan University, Istanbul State Conservatory and studied fugue with Erçivan Saydam, counterpoint with Bülent Tarcan, piano with Madlen Saydam, and chamber music with Nuri İyicil. After graduating in 1993, Nemutlu completed his master’s degree with Usmanbaş. Currently, he continues his doctoral degree and teaches solfeggio, theory and information about music instruments at the Conservatory. Nemutlu composed his first work in 1987. It was followed by many works such as “Beş Menzil ile Göre”, “Chamber Symphonies”, and “Güdük Gazel”, which was played by Emre Tamer and Fazıl Say in the 1990’s. Nemutlu won the first prize with his composition “Özgürlük Çocuğu” in a composition contest, which was held by the Izmir Soroptimist Association in 1991. He also received the first prize in the Young Composer’s Meeting in Leipzig, which was organized by BP in 1995. His two works were performed in the European Young Composers Symposium in Leipzig. Nemutlu is the author of the book: “Ses İşçiliği, Paul Hindemith” (Istanbul: Norgunk Publishing, 2007). He translated the book “Introducing Music” (by Otto Karolyi) from English into Turkish ("Müziğe Girişi", Istanbul: Pan Publications, 2005). 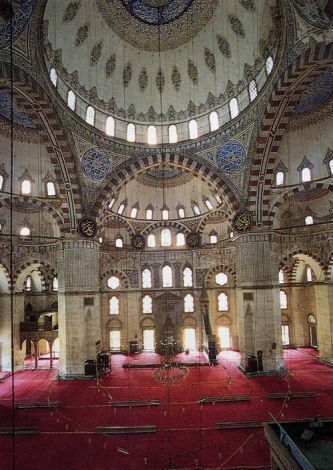 Currently, Nemlutlu teaches solfeggio and theory at the Mimar Sinan University Conservatory.